The PTM-KIT is used to control an automatic door for a room where privacy is required such as a single stall restroom. A door will not open from the outside when the room is occupied. Please see data sheet below for a full description. 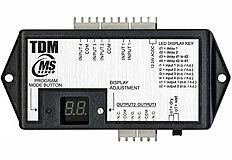 The TDM is a universal time delay module with up to 4 inouts. Each output is adjustable from 1 second to 99 seconds and can be used to sequence locks and automatic doors from a single device. See data sheet for more details. 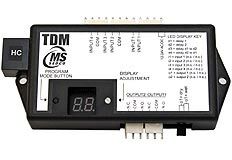 The TDM-HC is a high current version of the TDM. Output 1 is rated for 20 amps and adjustable from 1 sec. to 99 sec. and can be used to sequence locks and automatic doors. Choose HC model from drop down menu in the cart. 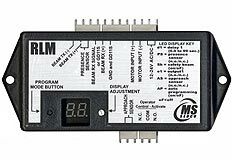 The RLM-KIT is a integrated relay lockout with safety beams. 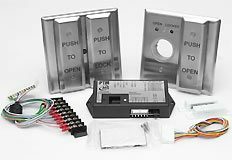 It provides control for many different types of door control sensors from a single source. More details are available by following the link below to the data sheet. 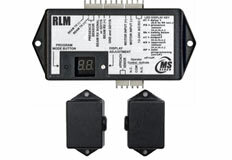 The RLM is a integrated relay lockout (module only.) It provides control for many different types of door control sensors from a single source. More details are available by following the link below to the data sheet. The SAM is an integrated timing module to meet seconday activation requirements of Knowing Act swing doors. 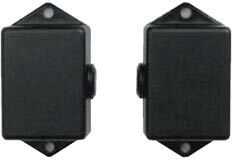 Provides control of push plate, approach sensor and safety sensor above the door. For more details see the data sheet below. RLM sensors beams only. These are replacement safety beams. It provides control for many different types of door control sensors from a single source. More details are available by following the link below to the data sheet. 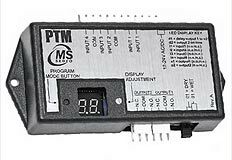 PTM module only, does not include switches. Used to control an automatic door for a room where privacy is required such as a single stall restroom. A door will not open from the outside when the room is occupied.